A RABBI’S EXPERIENCE AT THE GLENN BECK’S RALLY AT THE MALL: THEY CHEERED THE JEWISH PEOPLE AND BIBLICAL JUDAISM……. – The Tundra Tabloids……. A RABBI’S EXPERIENCE AT THE GLENN BECK’S RALLY AT THE MALL: THEY CHEERED THE JEWISH PEOPLE AND BIBLICAL JUDAISM……. (Rabbi Aryeh Spero/Human Events)– An uplifting and beautiful thing happened Saturday as I was escorted through the hundreds of thousands lining the Reflecting Pool on my way to the reserved seats for those who would be standing with Glenn Beck and Sarah Palin at the Finale of the “Restore Honor” rally. They weren’t cheering me per se, but, as represented by my yarmulke and rabbinic disposition, the Jewish People and Biblical Judaism. The affection and warmth of the crowd was palpable and undeniable. 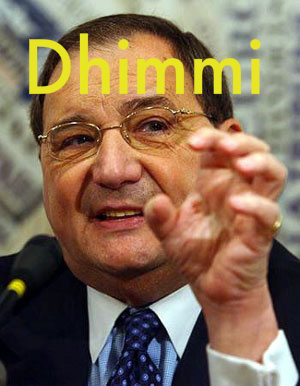 NOTE: Now here’s a hack that wouldn’t know philosemitism when he saw it, because for Abe Foxman, Leftist politics always comes first, as well as appeasing the new Leftist pet project, Islam. Previous Post Previous Post FINNISH MUNICIPALITIES REFUSING TO TAKE IN REFUGEES……. Next Post Next Post GROUND ZERO MOSQUE INVESTOR CONTRIBUTED MONEY TO TERRORIST HAMAS…….